As giant real estate investment firms are buying up homes in the Nashville area and turning them into rentals, current and former tenants of Invitation Homes, one of these "Wall Street landlords," say the company cares more about its stockholders than its tenants. NASHVILLE, Tenn. (WTVF) — Giant real estate investment companies now are quietly buying up homes in and around Nashville and turning them into rental properties. And former tenants of one of these companies say you should think twice about doing business with them. Invitation Homes owns nearly 800 properties in this area. And according to their corporate filings, they're taking in more than $1.5 million a month in rent from middle Tennesseans. But some say the company's focus is on money rather than its tenants. When Desiree Tromblee and her family moved to Tennessee from Las Vegas, they were looking to rent a home. And thanks to Invitation Homes, they found one. The company's website lists dozens of homes for rent in and around Nashville. The Tromblees settled on one in LaVergne, in a subdivision where property records show Invitation Homes owns 28 other houses and another 262 around just Rutherford County. "Yeah, there was a whole cluster of homes where I was looking," Tromblee recalled. But, if she had to do it all over, Tromblee said she would never rent from Invitation Homes again. "You start to think it's just the way this company is, predatory almost, you know?" she told NewsChannel 5 Investigates. And other former tenants seem to agree. The Better Business Bureau has received more than 600 complaints from across the country in just the last three years and the reviews are not good either. Most give Invitation Homes just one star while some say they'd give zero if they could, urging others to "stay away," and calling the company "the worst landlord I've ever encountered." "People are angry," Alex Tomasevic said about current and former tenants of Invitation Homes. Tomasevic is a California attorney who is now suing Invitation Homes on behalf of a former tenant, claiming the company charges "illegal and excessive" fees for things like late rent, "even if it's just a minute late." "And the thing about it here is that even when people disagree about the fee, the threat of, 'Well, we'll kick you out on the street,' is always there. So they end up paying the fee regardless. And then they end up paying the fees on top of fees because if the fee isn't paid on time, they stack another fee on there and then a legal fee and an administration fee," Tomasevic explained. According to the lawsuit, Invitation Homes is the largest of the so called "Wall Street landlords" that popped up shortly after the housing crisis a little more than ten years ago when investment groups began buying up foreclosed and distressed homes and turning them into rental properties. The suit accuses these groups of caring more about their stock price and growing their quarterly earnings than taking care of tenants and addressing problems like maintenance issues. "You can't get anyone on the phone or you can't really talk to the real owners of your property to explain your situation," Tomasevic relayed. Desiree Tromblee experienced that first hand. "It was difficult to get a hold of anybody," she recalled. Tromblee said her nightmare started when her family decided to move out of their rental after they found a house to buy. "I tried to call their office multiple times." She gave the required 30 days notice and said she followed all of the other rules of the lease agreement. But then more than three weeks later, she got a big surprise, the final bill. "I was shocked. And it was $6500," she said. It was actually a lot more than that. Invitation Homes said they were keeping her security deposit of $1365 and charging her an additional $7600 with most of that for damage caused supposedly by a burst pipe that flooded the inside of the house. But Tromblee said that didn't happen while she was there. "The last time I saw it, it was in perfect, pretty much move in condition," she recalled. She said Invitation Homes refused to tell her exactly when it happened, but insisted she was responsible for the damage. "They said I turned the keys in too early." But as she explained to them, she had to move out several days early because the last day of the month fell on a holiday weekend and the rental office was going to be closed. "Then they kind of tried to blame it on the power being turned off too early," Tromblee said. But NES records show the power never was turned off and, it turns out, Invitation Homes actually changed the account into their name the same day Tromblee moved out. She said Invitation Homes tried to intimidate her, had an attorney go after her, and even threatened to ruin her credit unless she paid up. She then had to hire her own attorney and the company still refused to give her security deposit back. "I'm speaking out because there are so many other people that are in the same position I am," Tromblee offered. Tromblee had to wait more than a year to finally get her money back and it was only after we called Invitation Homes and told them we were running this story. We can't tell you how much she got though because the company made her sign a non-disclosure agreement before they'd pay her. But Invitation Homes told us they are pleased the issue has been "fully resolved." 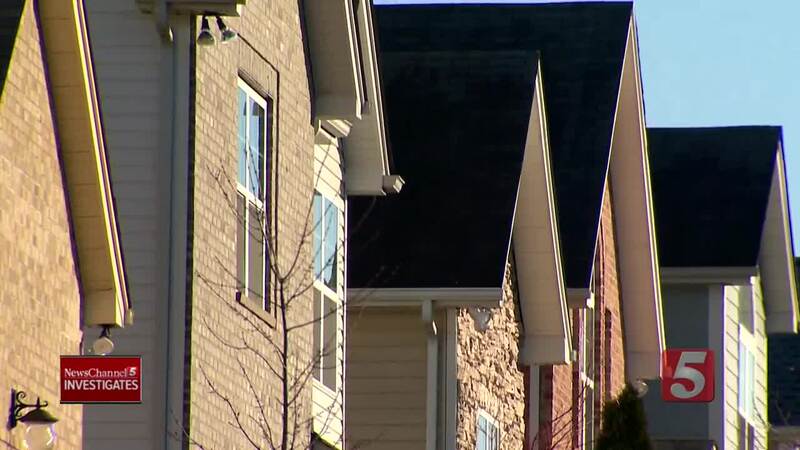 Meanwhile attorney Alex Tomasevic tells NewsChannel 5, he's now seeking class action status in that lawsuit so that it will cover tenants in all of the states Invitation Homes operates in, including Tennessee. Full statement from Invitation Homes: “Our goal at Invitation Homes is to deliver outstanding service from the time a prospective resident first views a home until their move-out is complete. We were delighted to have the Tromblees as residents. We regret any inconvenience they experienced related to their move-out and are pleased to report that we have fully resolved the issue with them."